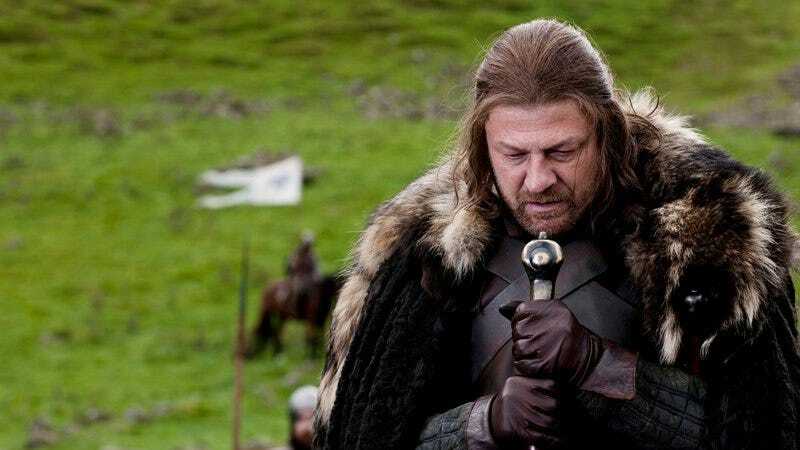 Driven mad by a show that continues to force them to fall in love with characters, then delights in finding increasingly cruel ways to divest them of their guts or heads, Game Of Thrones fans have become adept at the madness-tinged art of HBO prophecy, poring over tea leaves and casting reports to divine the next way the show will make them cry. Case in point: a theory put forward by Buzzfeed’s Robin Edds (who may or may not be dolorous), which uses a recent filming location notice and a casting announcement to build a remarkably compelling argument that the show’s next season will be tackling one of the most mysterious and influential moments in its long backstory. The theory centers on the announcement that the show will be filming part of its sixth season at Castillo de Zafra, a 12-century castle in Guadalajara, Spain. On its own, that wouldn’t be especially notable—Game Of Thrones is a major occupier of castle and castle-like real estate—except for Castillo de Zafra’s most notable feature: a tall, narrow tower that rises from a solitary outcropping of rock. As Edds points out, there’s a prominent, as-yet-unseen location from George R.R. Martin’s books that matches that location closely: The Tower of Joy, the site of Lyanna Stark’s death. Of course, fans/Game Of Thrones oracles have been looking for support behind that theory for years, mostly centering on a rare flashback from the first book, when a delirious Ned thinks back on the day he approached the tower and faced down Ser Arthur Dayne of the Kingsguard, “the finest knight [he] ever saw,” slaying him in an attempt to rescue his dying sister. And while a simple filming notice for a rocky tower isn’t really conclusive proof that fans will soon be seeing that duel play out, it’s worth noting that the show also put out a casting notice for an unnamed “legendary fighter” a few weeks ago. Of course, all of this could be entirely off-base—season six is expected to start diverging sharply from Martin’s as-yet-unwritten books, so maybe Castillo de Zafra will actually be standing in for the bridge of a stone-hewn spaceship, and the “legendary fighter” is Worf from Star Trek: The Next Generation. (For more on this theory, please consult our top-rated fan fiction, You Know Nothing, Jean-Luc.) Or maybe the fans will get to crow about being right once again, before restoring themselves to the fetal position and waiting for something else awful to happen to the characters they love.